Today, Mrs. Kader received the visit of the Ambassador of the Islamic Republic of Iran, Jahanbakhsh Mozaffari at the Representation of KRG Representation. The talks focused on bilateral relations between Iran, Iraq and especially the Kurdistan Region, the current situation in their respective countries, Iran's relations with the Kurdish component and existing common elements in their cultural traditions. The Ambassador Mozaffari thanked the High Representative for the kind welcome, emphasizing the importance of the Kurdish people for the Islamic Republic of Iran, the existing brotherhood and the will to intensify bilateral relations at political - diplomatic, economic and cultural level . 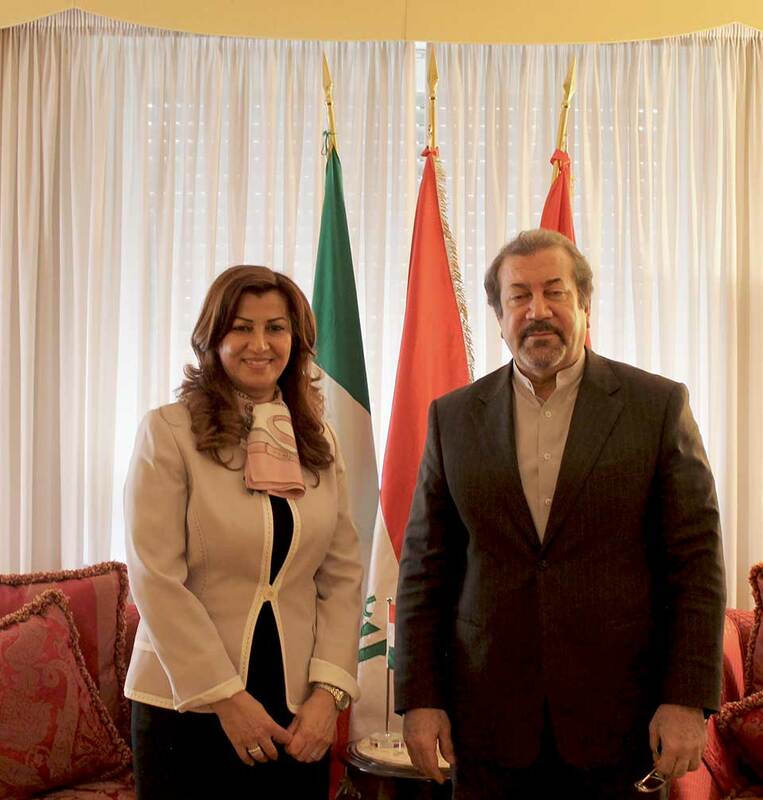 Mrs. Kader has, in turn, thanked the Ambassador for his visit and for the support of the Iranian government in the fight against ISIS terrorists. Regardless of the future of Iraqi Kurdistan, the Presidency and the Government of the Kurdistan Region will always respect the domestic jurisdiction of states, urging Kurdish brothers to relate to their respective central governments through dialogue for the maintenance of peace and stability. Finally, Mrs. Kader has reiterated the willingness of his Government to boost bilateral relations, seeking to enhance together their common roots. The Ambassador has donated to the High Representative a welcome gift as a symbol of the Iranian culture.